Tough, rugged and muscular: words that best describe the 2.2 XLT Ford Ranger; and upon approach, the bold exterior certainly enhances Ford’s reputation for being built on durability and capability. Attracting attention and eliciting appeal are the trapezoidal grid, robust bonnet, and molded projector headlamps. This 4×2 Double Cab Hi-Rider comes standard with 17x8” Alloy wheels, auto on/off headlamps, rain-sensing wipers, daytime running lights, plastic side step with bright inserts and a 3500kg mass capacity tow-bar. 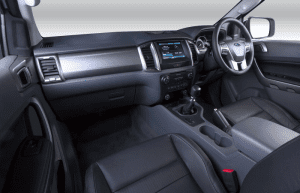 When seated inside the Ford Ranger, you will find it to be both refined and very spacious. Its comfortable seats are made from leather and the cockpit features a 4-spoke leather steering wheel, equipped with multifunctional buttons for your convenience. The instrument panel houses driver-assist technologies, such as Hill Launch Assist and Cruise Control. 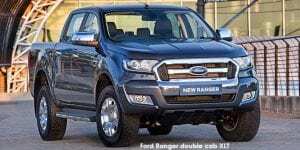 The 6-speed manual 2.2 TDCi 4×2 XLT Hi-Rider Double Cab Ford Ranger emits 118kW of power and 385Nm of torque, providing substantial capability in a variety of driving situations – from overtaking to carrying heavy loads over long distances. There is Dual Electronic Air-Temperature Control and Ford SYNC3 with 6 speakers, CD, USB, MP3 and Bluetooth. The 8-inch colour TFT screen and navigation, together with two 4.2-inch TFT screens allow for your comfort and convenience. SYNC3 is a fully integrated, voice activation system which allows you to use your favourite devices while keeping your hands on the wheel and your eyes on the road. The Ranger comes with driver, front passenger and curtain airbags; together with Rear-View Parking Camera, and front and rear Parking Distance Sensors. 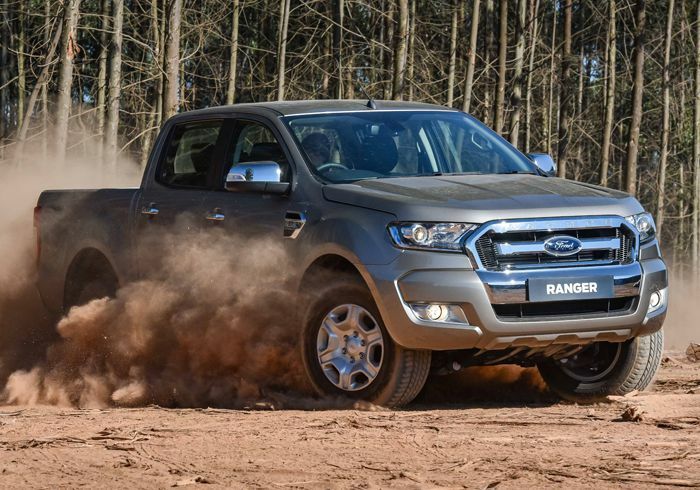 Other safety features include Electronic Stability Programme, which comes standard with the Ford Ranger 2.2 XLT, delivering a high level of active driving safety. The system incorporates Hill Start Assist, Traction Control, Trailer Sway Control, Adaptive Load Control and Roll-over Mitigation. Contact Consolidated Auto on 011 306 2000 for more information about this Black Friday SPECIAL OFFER!